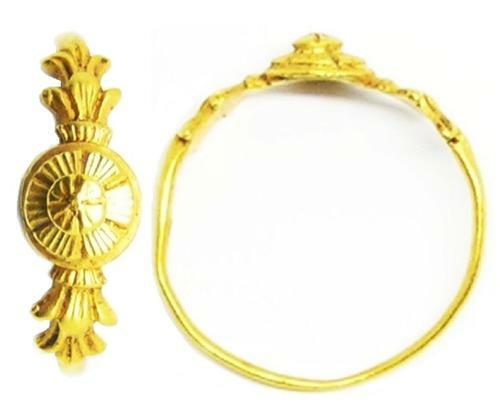 This is a gorgeous Renaissance gold finger ring, dating to the mid 16th century A.D. The ring has a sculpted floral bezel, originally set with bright enamels. This type of enameled gold ring was popular during the early to late 16th century, being purely decorative. Today the ring has survived intact, though sadly has lost the enameling. It is a good size and in good enough condition to be worn again today. DATE: c. 1520 - 1580 A.D.